B&W photograph, 16.4 x 11.6 cm. Signed and dedicated to Irving Guttman. 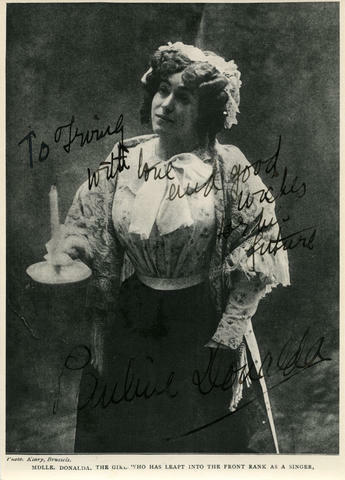 Pauline Donalda as Mimi in "La bohème".